Personal Safety seems to be at the heart of why most people join a martial arts studio. With this in mind we have taken what people are looking for with out the more traditional aspects. While every other system seems to be jumping on the "Reality" band-wagon, American Kenpo Consulting has had this at it's core from the beginning. What works on the "Street" has always been a major consideration when any list of priorities is considered. All of the following courses are taught in the comfort of your own home or our Private Studio, depending on the situation or needs of the clients. 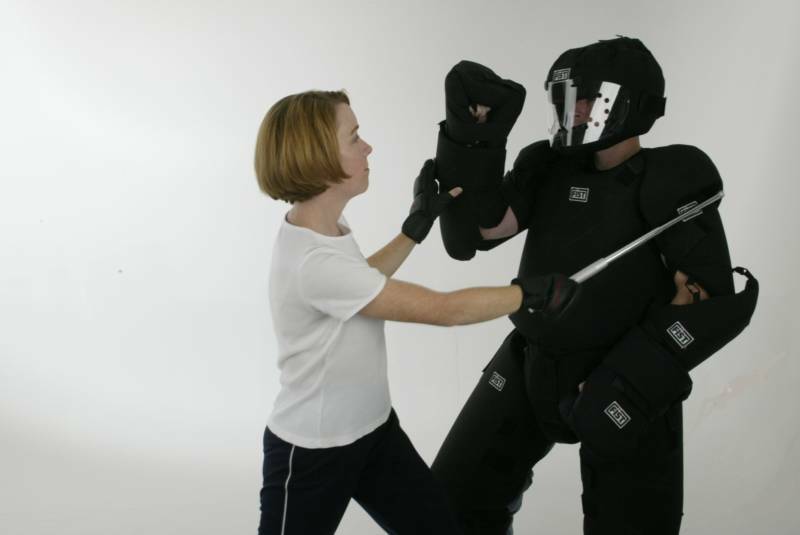 A introduction to our Self-Defense Programs which incorporates both lecture and lab time. It is considered a light version of our level 1 course conducted in your own home. We cover external & internal home safety, Environmental Weapons and Safe Room planning. Great for parties, Neighbors or Gifts for Families. As parents we clearly understand how you feel toward your children, so we have created a course specially designed to help prepare your most valuable possesion. Whether they will live on campus, off campus, with friends or alone, we can help prepare them for some of lifes uglier lessons. This is intended for families that wish to better understand how a family can work dynamically as a team to better prepare for a "worst case scenario". Covered is group movement, basic application physical responses, division of responsibilities of members, Beyond CHL applications with the help of scenarios utlizing Airsoft pistols and "Mark-It" knives and clubs.